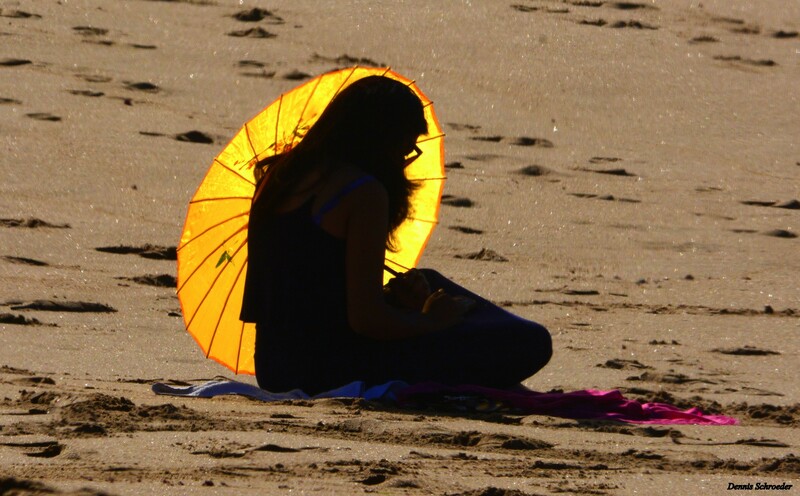 Perfect place at the beach to relax and unwind. 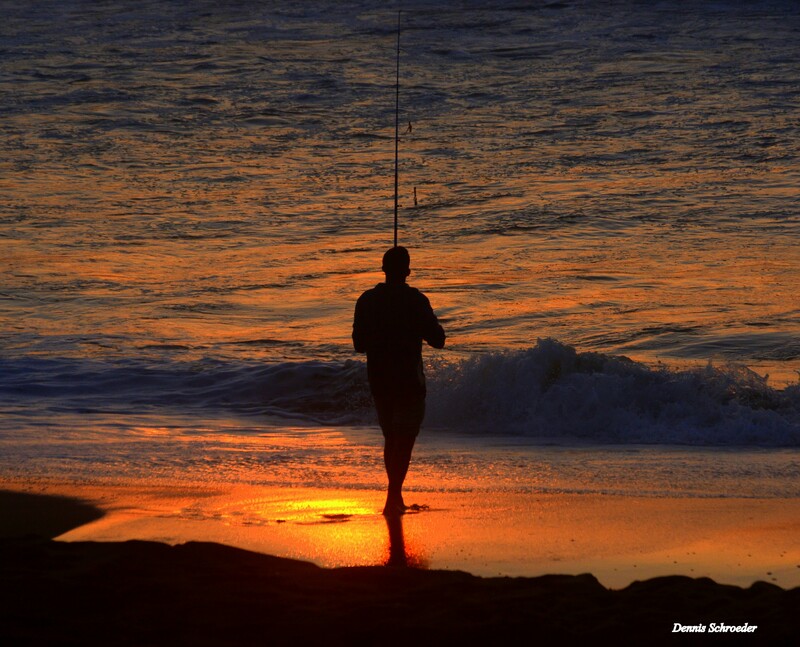 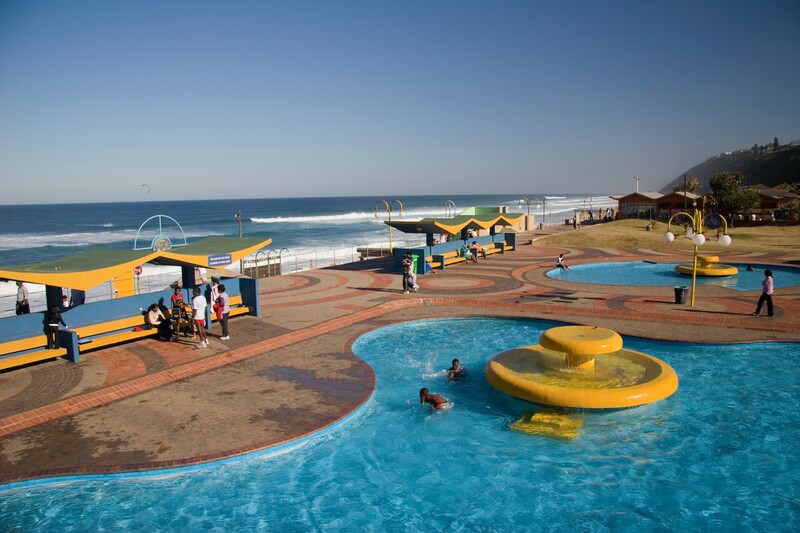 Long established popular beach establishment 15 kms south of Durban & only 50 metres from the beach. 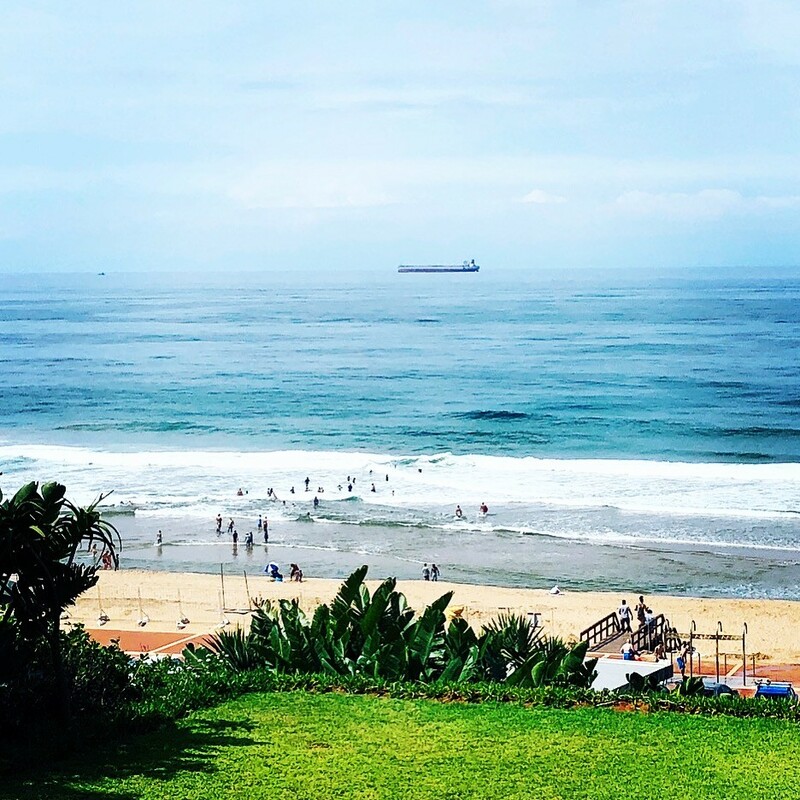 Favoured by business and leisure travellers, sports & tour groups, we offer warm hospitality and a great atmosphere that has many happy guests returning time and time again. 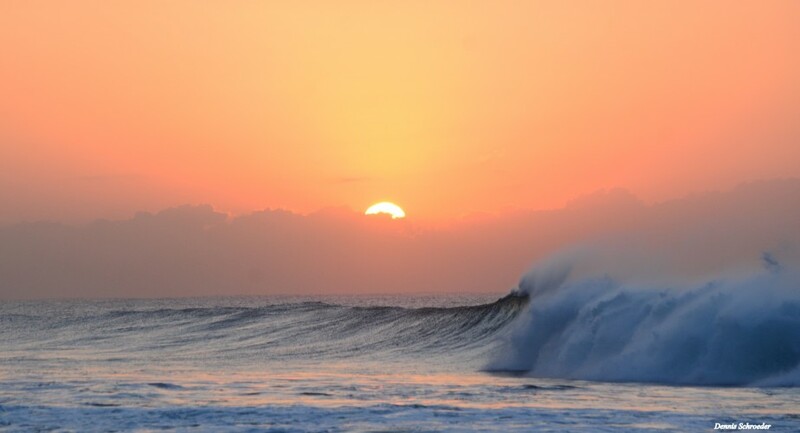 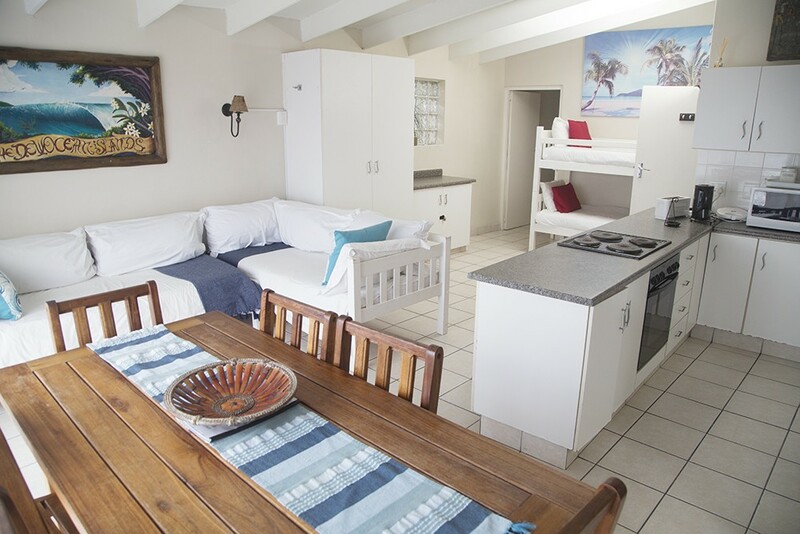 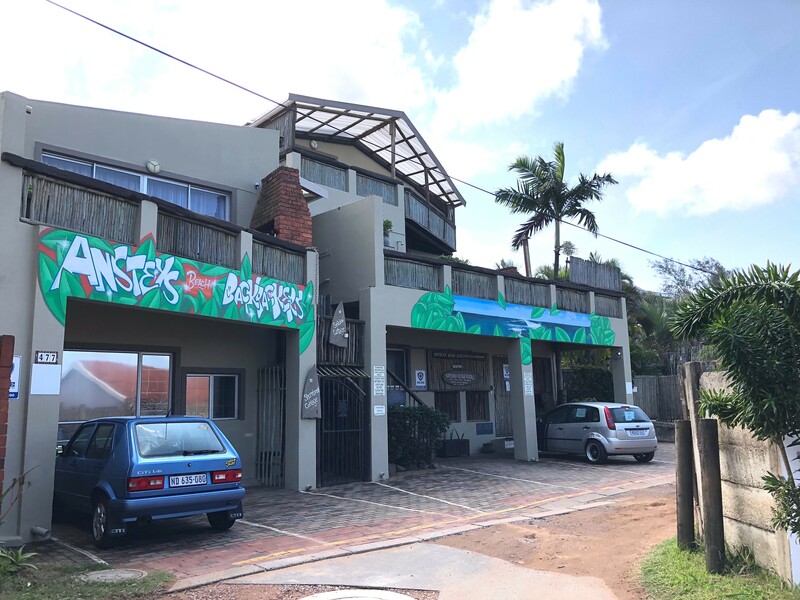 Located a mere 50 metres from the beach at Ansteys Beach on the Bluff – a leafy suburb 15 kilometres south of Durban. 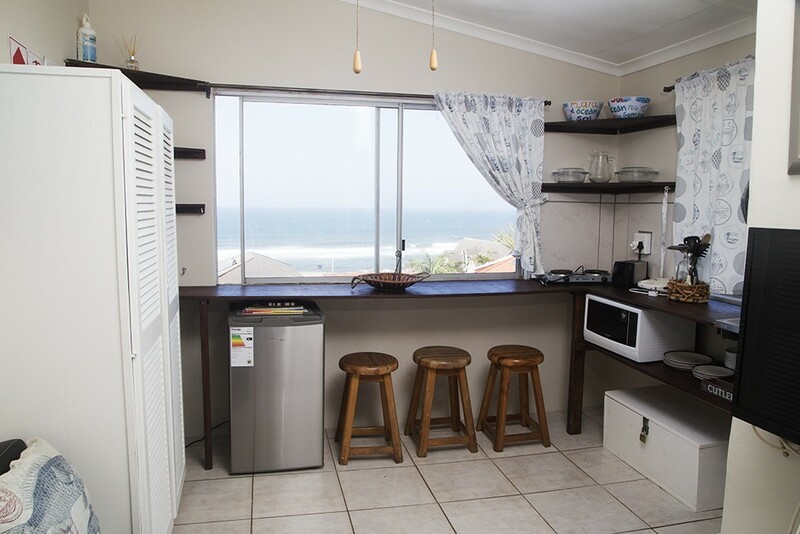 A popular and long standing family run establishment (est. 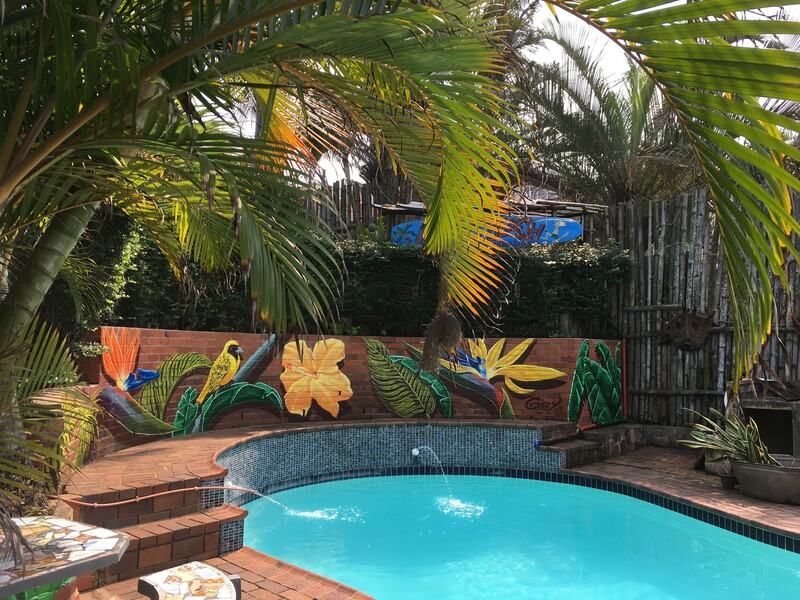 1999), we offer comfortable accommodation options all set in a lovely tropical garden with a swimming pool, small bar and Heidi’s Cafe on the premises above the swimming pool. 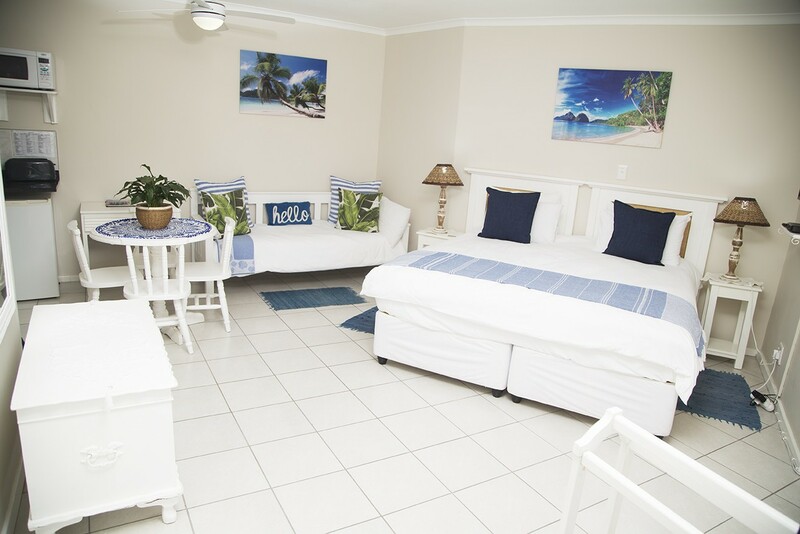 Favoured by business and leisure travellers, sports & tour groups, we offer warm hospitality and a great atmosphere, and pride ourselves on a pleasant and homely environment with comfort, cleanliness and a great ‘beachy, home away from home’ atmosphere that has many happy guests returning time and time again. 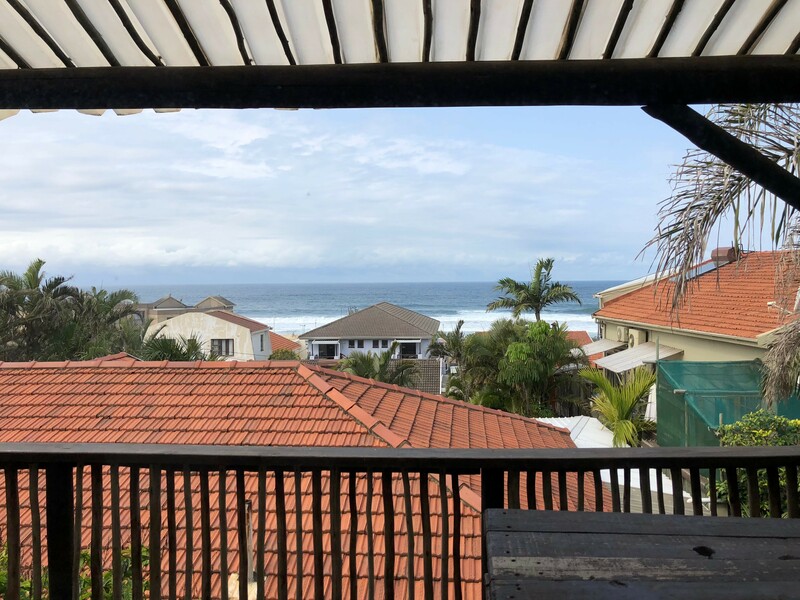 Perfect home base as we are close to many shops, shopping centres and restaurants, as well as all the major tourist attractions in KZN such as uShaka Marine World, Suncoast Casino, the ICC, Sports Stadiums etc. 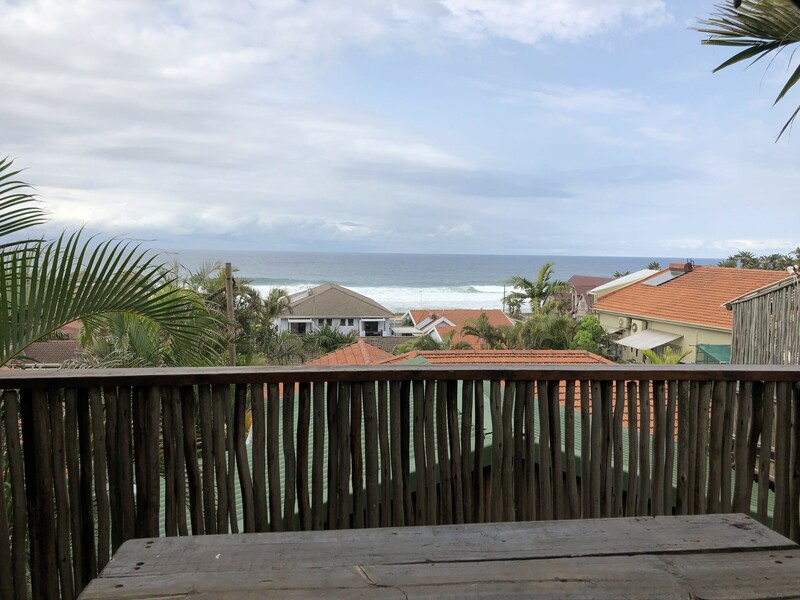 Hluhluwe Game Reserve is about 3 hour drive away, so perfect for day trips. 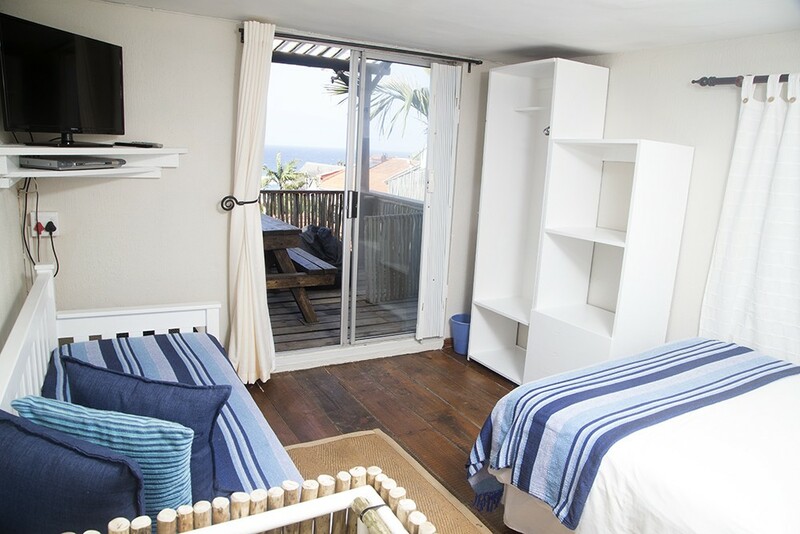 Small fully licensed bar and gift/surf shop for our guests – perfect for those last minute gifts before heading home! 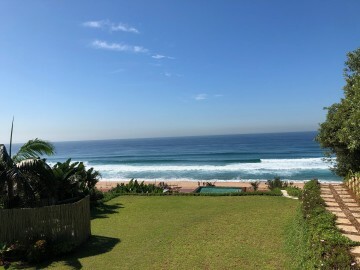 Come back after a hectic day at work or in the city and relax by the poolside in our tropical garden or go for a late afternoon swim in the sea or walk on the beach, particularly at low tide when the rock pools are exposed. 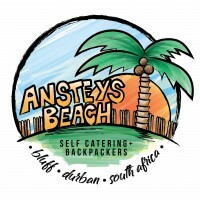 Anstey’s is unique in that we encourage and enjoy a great cosmopolitan vibe – international travelling backpackers, South African holidaymakers, business people, contract workers – all get along and it makes for a good, happy mix.